Anyone who regularly works with stones, crystals, and other magickal tools knows that they can accumulate “dirt” in the form of negative spiritual energy. This can occur in many ways. Perhaps someone else used it for something, or the stone or crystal was used as part of a cleansing ceremony, or it may have been in the vicinity of a negative person and it picked up some of the bad vibe. It’s hard to always determine the cause, but rest easy, because it’s easy to tell if a tool or stone is dirty. A stone that is new or new to you is almost certain to carry something from it’s previous owner. Likewise, a crystal that just doesn’t “feel” right is a candidate for cleaning. Hold it in your hand; if it feels wrong, makes you anxious or uncomfortable, or angry and aggressive, then it’s dirty. Also if you have a favorite stone or crystal and without warning you feel unconnected to it, meaning you don’t feel anything, then it probably needs a good cleansing and recharge. If you are highly intuitive and vibrate on a high level, you’ll be more sensitive to reading the energies from tools and stones, and you’ll feel changes almost immediately. Once you’ve identified something as “dirty,” its best to not use it for anything until you’ve properly cleaned it, or you risk something not working according to your plans. There are many different ways to clean your tools and stones and each person will gravitate to the method that works best for them in their environment. My personal favorite is utilizing the light of the full moon. It’s restorative and brings them back to their “factory settings” or original energy level, before being fouled by anything. It’s the equivalent of a deep energy cleaning that will help get your equipment back to their optimal working vibration. Moon energy is undeniably positive. It literally is a fountain of goodness that drenches the land each month with divine energy and amplification of positiveness. 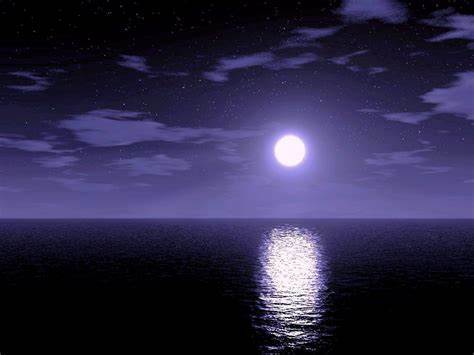 It’s important that you or anyone approach anything connected with full moon energy, with a calm state of mind. If you go into it feeling wacky, then you are likely to get wacky results. If you are angry, you’ll get angrier; remember amplification. Treat full moon energy as you would any other powerful magickal tool; with respect and reverence. There are variants to full moon cleansing; some folks wash their stones with sacred water before putting them out in the moonlight to dry and recharge. Others use purified water, rain water, or running water from an underground source. If you are unfamiliar with exactly what sacred water is, there is an informative piece on Druidry.org that you can read to enrich your knowledge base. My wife is a collector of sacred water from around the globe and I can attest to its power and connection to the deep magick found within the bowels of Mother Earth. But, I digress. Conversely some people don’t feel the need to wash their equipment or stones prior to the moonlight bath. There is no “one-size” fits all when it comes to magickal work. Find a place, preferably directly on the ground or a natural surface such as a large stone, that gets ample moonlight throughout the night. The ideal time to put them out is just after sunset, when the shadows are all but gone from your surroundings and the sun is no longer visible. Arrange them so that none touch one another or shadow one another. What you are trying to achieve is the maximum amount of surface area of the tool or stone to be exposed to the moonlight. There are rituals, chants, prayers, and other ceremonies of intention that different people use as part of this process. As I’ve stated before, there is no “one-size” fits all when it comes to magickal work. You are working with your equipment to make them work optimally for you and no one else, so choose the method that makes you feel the best and gets the job done. I try to get everything back inside before the sun gets too high in the morning. Some people like to let a little sunshine on their very delicate crystals for a few hours longer, but that’s their personal approach. Once you’ve brought them back inside, I suggest taking some time to spend it with them. 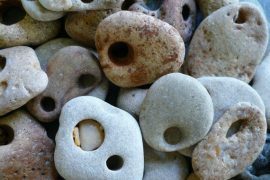 Hold each tool or stone with a totally clear and open mind; talk to them either telepathically or if you wish to, speak the words out loud. You’ll know if they are ready to return to service. If by the rare chance you don’t get the results you expected, you can try again the next full moon night, or look to one of the other methods shown below. If you intend to leave your crystals out in the moonlight, please check the weather forecast beforehand. Some soft crystals like selenite, malachite, halite, or salt based crystals can be damaged or dissolved by rain or by being submerged in water. Additionally, some crystals or stones can fade (color) if left in sunlight too long. 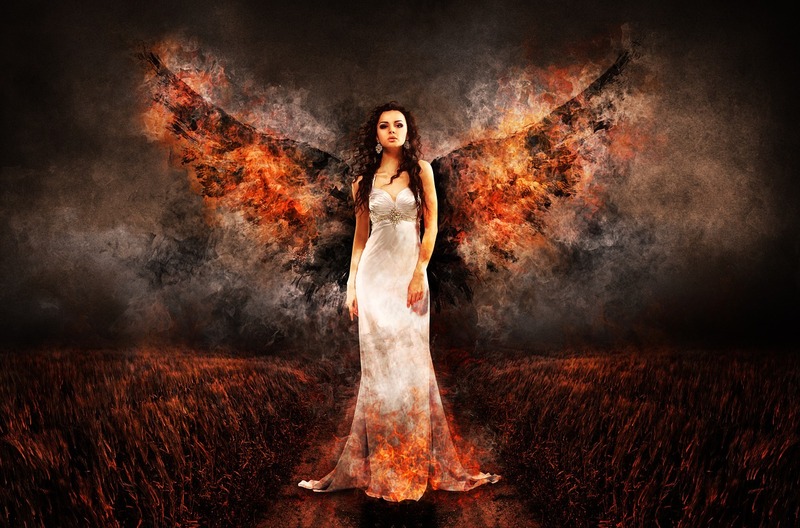 Some people will follow-up on the full moon cleansing with an intention ritual. Others will skip the full moon cleansing and clean their stones by this method alone. Those who follow this method after the moonlight step are adding their own energies to the already fully charged stone or crystal; effectively supercharging them. A word of caution when working with supercharged tools – once they are charged it’s best to not let others handle them as the outcome can be something unexpected, plus the crystal will likely need cleaned again. It takes concentration and a peaceful working environment to cleanse crystals by intention alone. 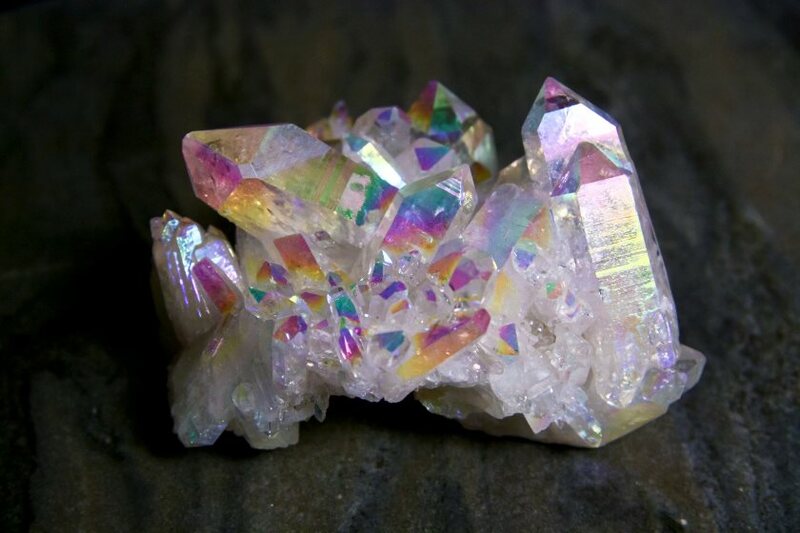 The user focuses on the crystals and tools and using their mind, imagines/pictures them soaked in the cleansing and healing energies found across the universe. Just as when we are in a full moon ritual, intention is the key for success. It must be focused and specific and cannot be done with a lackluster approach. Let your intuition be your guide. Practitioners of Reiki can cleanse their tools or give them a boost from time to time using the same methods they would when working on another person. Another variant to the full moon cleansing practice detailed above it to smudge the crystals and tools with white sage before placing them outside in the moonlight. This step acts as a “pre-wash” to rid them of loose negative energies and is thought to open them up to better receive the lunar energy. There are many different types of smudging that can be incorporated into this step, should you choose to take this path. 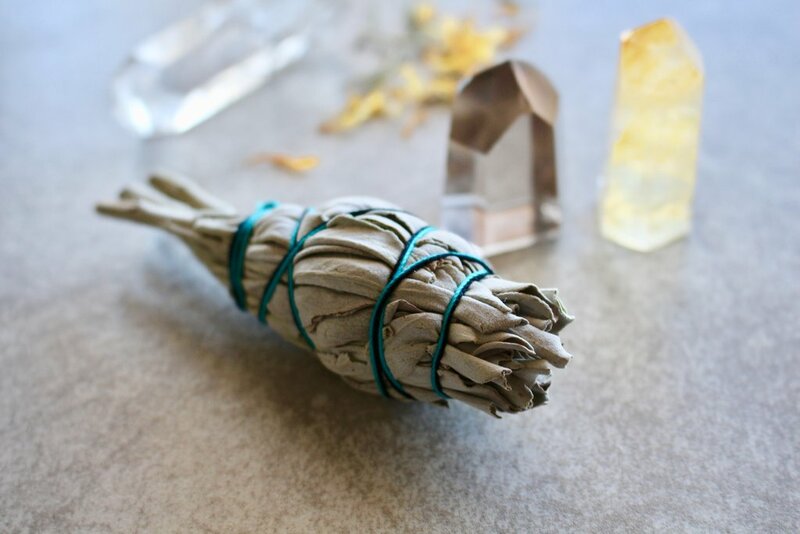 Mugwort, sweetgrass, Palo Santo Wood, cedar, lavender, or mullein herbal wands can be used instead of, or in conjunction with white sage to perform the pre-wash step. Some people feel that smudging alone isn’t enough to thoroughly deep clean most stones and crystals and will continue with the moonlight portion of the process. Others only use this method. I can’t say it enough, but remember that there is no single solution method for cleansing. Cleansing using salt is one of the easiest methods and is often used for a “quick cleanse” in the middle of the month or when accessing moonlight isn’t practical. In the middle of winter when the frigid winds are slicing through the trees, many folks see this method as very practical. Fill a vessel with coarse sea salt or Himalayan pink salt and bury your stone or crystal completely. Leave it buried for as long as you feel it needs to be. Once you are ready, remove the crystal from the salt and wipe it clean. Hold it in your hand to determine if it’s back to the energy level you expected – if not, then repeat the process with fresh salt. Once salt has been used for cleansing, it’s best to discard it in an environmentally-friendly way. Some practitioners feel that once a slat cleansing is completed that it’s necessary to recharge their stones and crystals after the fact. This can be accomplished by one of the methods already shown. Salt can be very corrosive to certain stones and crystals, so do a little research before you inadvertently damage something important to you. Know your equipment. Mother Earth is the source of all grounding energies, so it makes sense that burying stones, tools, or crystals is an optimal method to cleanse and restore them. The method is simple. Find a spot that is meaningful to you and dig a hole. 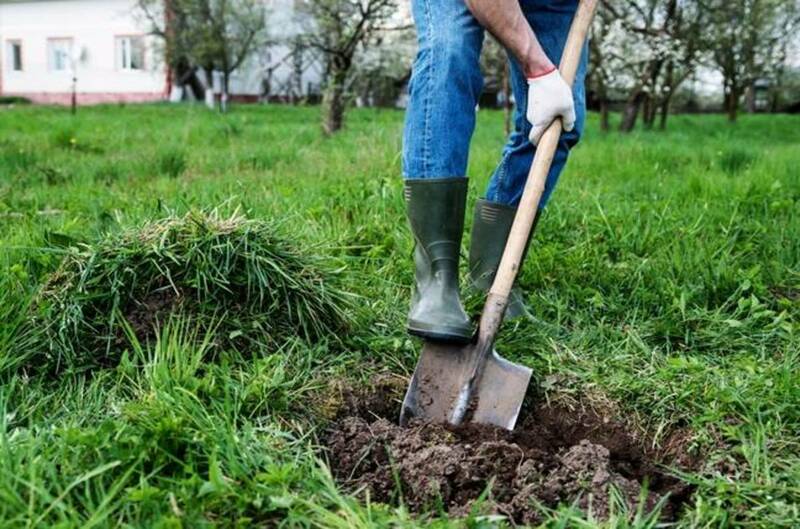 Bury the items and recover with your hands – try to avoid any tool that might trap something underground along with your items. Even a garden shovel is capable of carrying negative energy. As with salt cleansing, the amount of time you leave something buried is up to you; you’ll know when to retrieve the items. A few words of caution when burying items. The ground is moist and cause damage to soft crystals that are left underground for a lengthy period. Also if the surface of your tools or stones is uneven or has natural fissure, dirt can get stuck in the cracks. Anything made of metal or certain metallic stones can rust if left below ground for an extended period of time. Anything made of wood is subject to the decay cycle as well. We buried a sacred pipe that had negative energy attached to it in our yard for more than a year without damage, but this doesn’t guarantee the same results would be applicable with all wood objects. Finally, don’t lose what you’ve buried; mark the location with an indicator that it’s a burial site and write it down somewhere as well. This method is similar to the salt method, but you exchange the salt for flower petals, shoots and buds, or other powerful natural sources of energy. Newly developed buds, shoots, and sprouts hold a tremendous amount of plant and earth energy within their tiny cocoons. 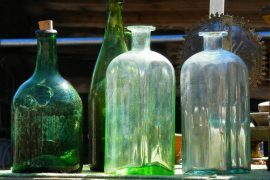 Some users choose to macerate them before adding them to the vessel, while others keep them intact as they are naturally found. Because of natural dehydration, it’s recommended that you cover your tools with several inches of nature to avoid gaps. Everything in the universe vibrates. 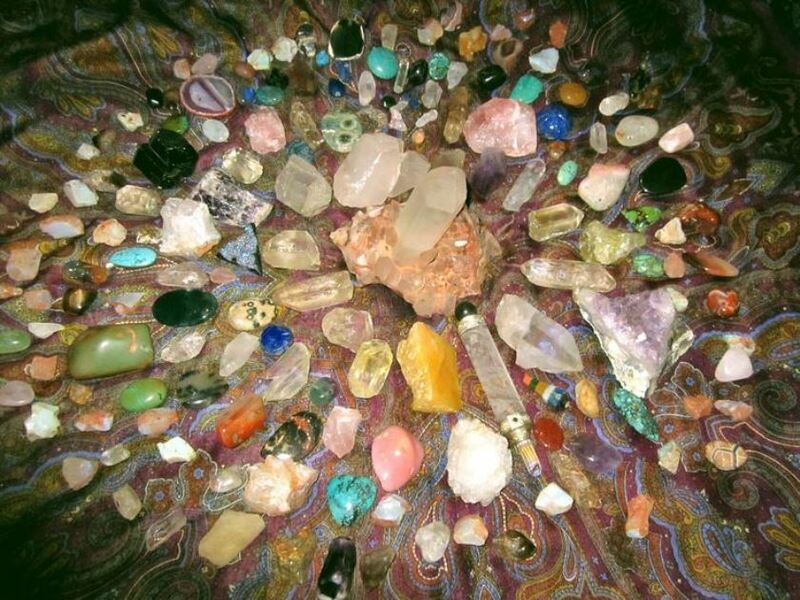 Some people use sound, in the form of a singing bowl, tuning fork, or other highly vibrational tools to vibrate away the negativity in stones and crystals. 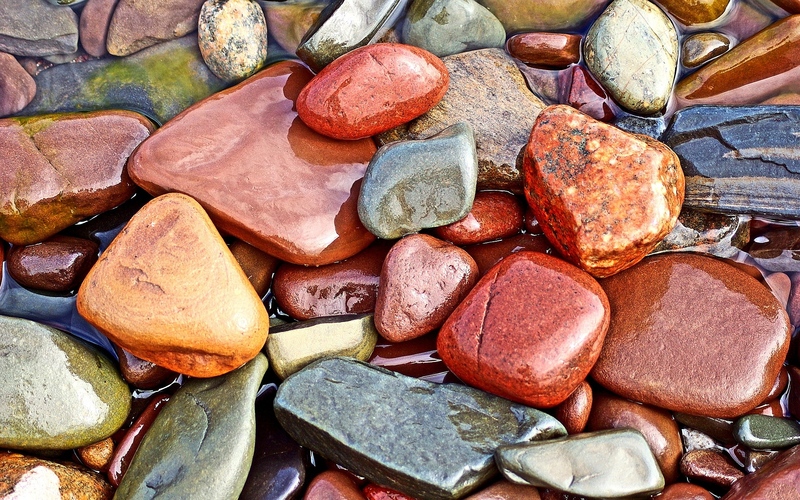 Place the stones in close proximity to your preferred vibration instrument and drive out the negativity. To cleanse using a singing bowl, put the stones ina circle around the bowl and start playing. To cleanse with a tuning fork, hold the tool, stone, or crystal in your hand slowly move the tuning fork in a counterclockwise direction around the object. Move the tuning fork around the crystal until you feel it’s stopped vibrating. 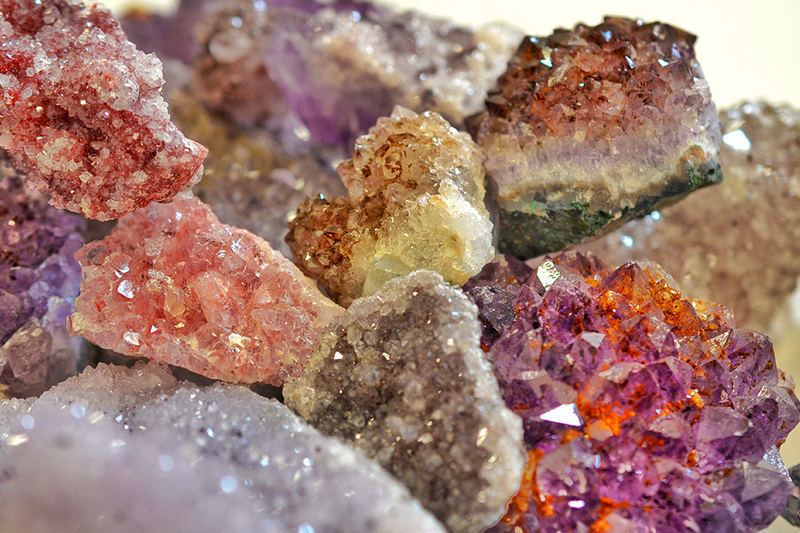 Some crystals are so powerful that they can cleanse other crystals. Geodes and cluster crystals are applicable for this method, as well as selenite. The cluster or piece of selenite should be at least twice as large as the stone or crystal that you intend to clean. The negativity needs somewhere to go that has space to hold it temporarily. Leave the stone you wish to cleanse on top of the cluster for several days. Once you’ve done this, the host geode or selenite piece will need cleansed and recharged by one of the methods we’ve reviewed. The more you work with crystals, stones, and other magickal tools, the better you’ll understand them. How often they need cleansed or recharged will be solely your decision. Trust your intuition and you’ll have success. My rule of thumb is that when I’m “on the fence” it usually means I clean. You can’t overly clean a stone and you can’t overcharge a crystal, so err on the side of more frequent cleansing to keep things working at their maximum performance levels.